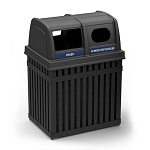 Heavy duty high capacity two stream outdoor receptacle. 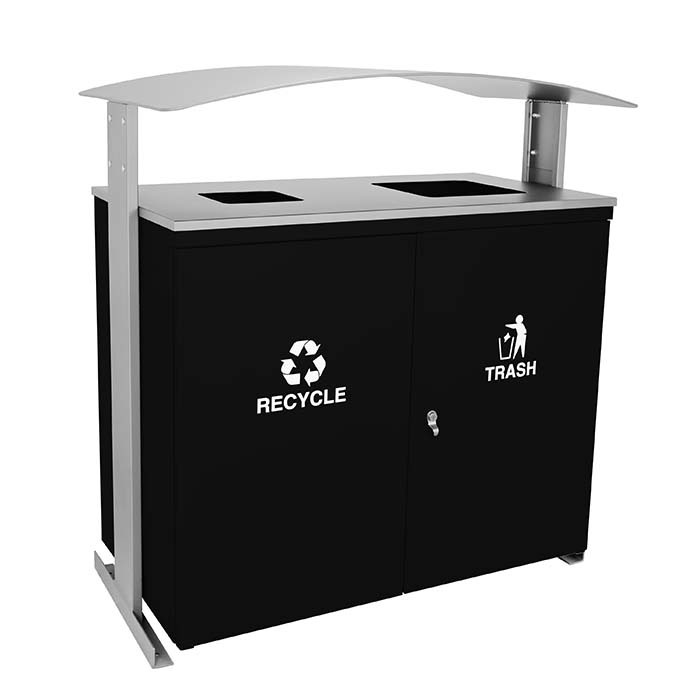 Sleek canopy protects openings from the elements. 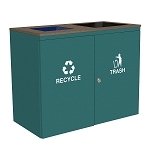 12" square Trash opening and 8" square opening for Recyclables. 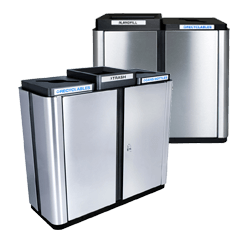 Units come standard with a keyed locking mechanism to prevent unauthorized access. 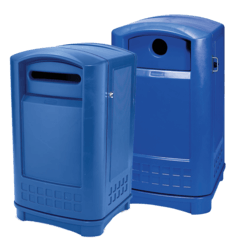 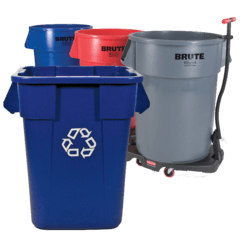 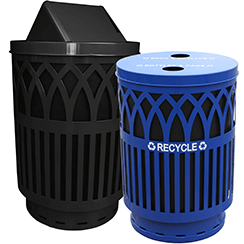 Includes two 45 gallon capacity liners. 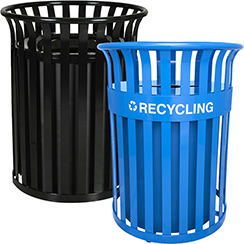 The liner base resin meets UL94 flammability standard. 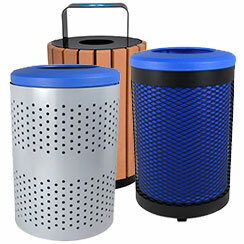 Finished in a UV-resistant powder coat finish. 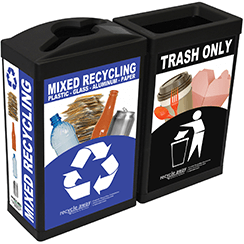 Pre-applied easy-to-read white graphics for designated waste streams. 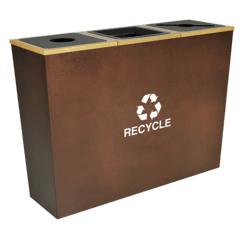 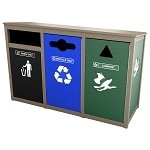 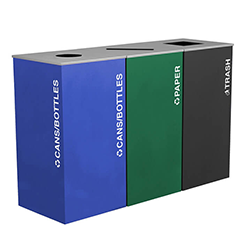 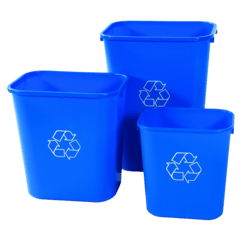 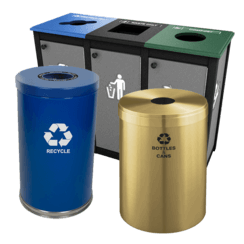 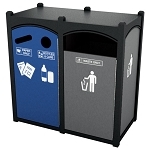 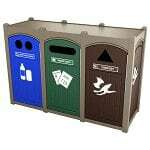 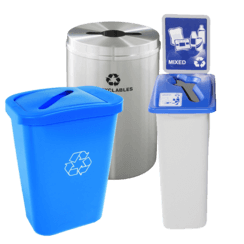 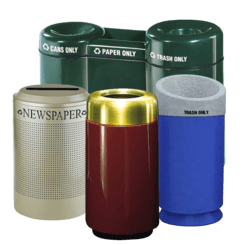 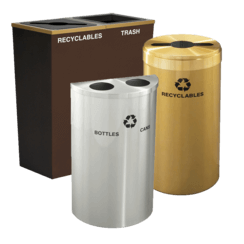 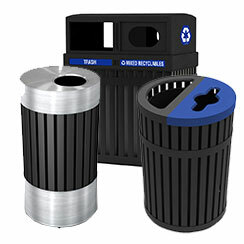 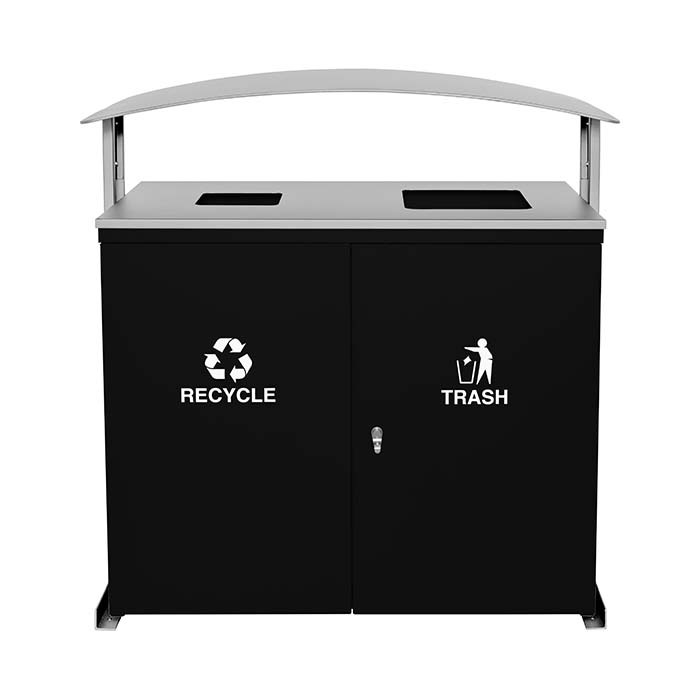 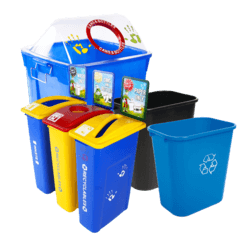 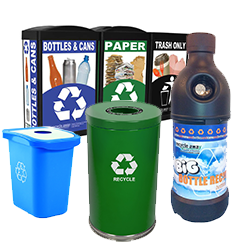 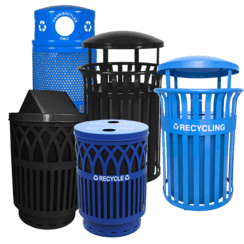 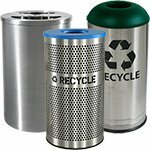 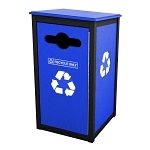 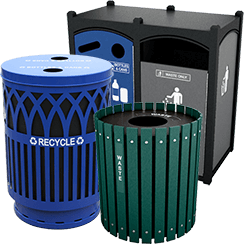 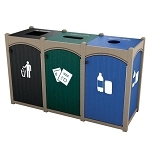 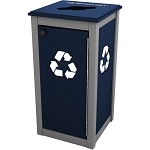 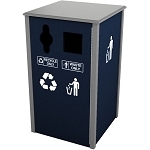 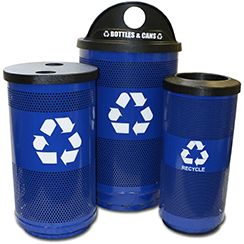 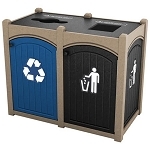 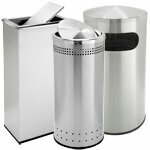 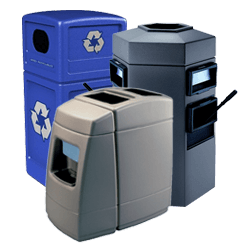 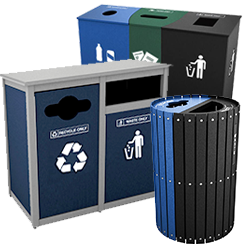 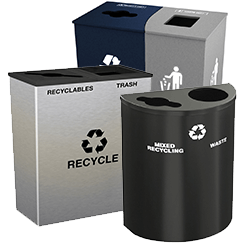 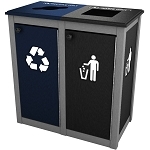 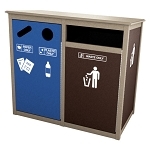 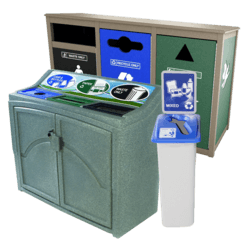 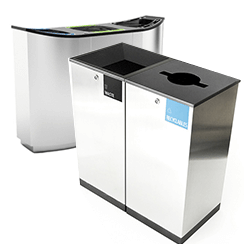 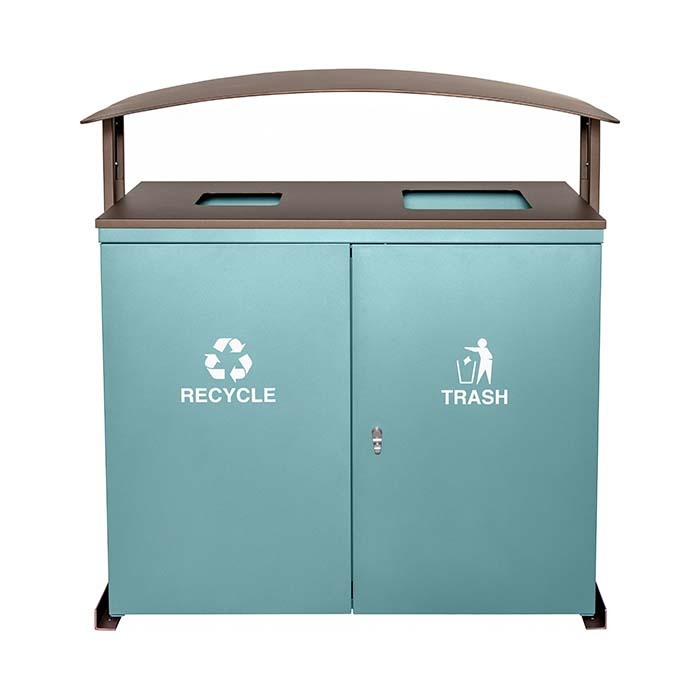 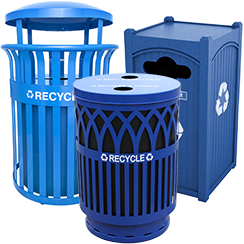 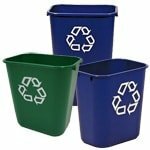 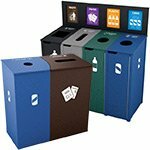 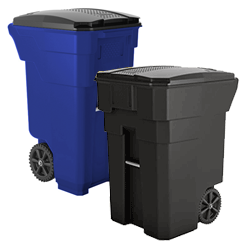 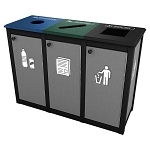 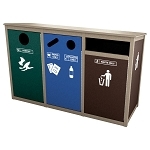 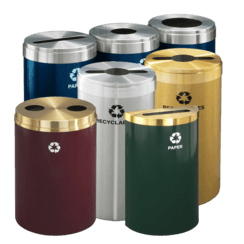 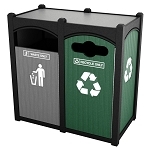 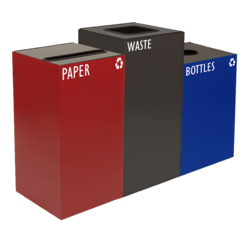 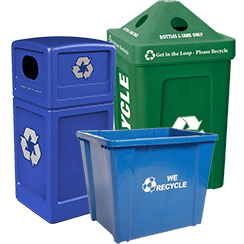 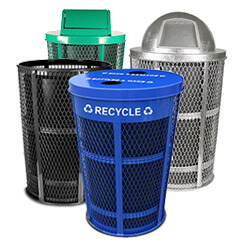 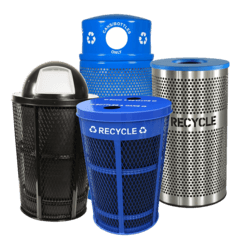 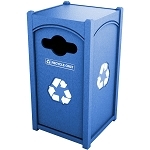 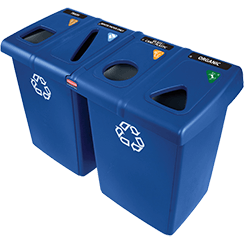 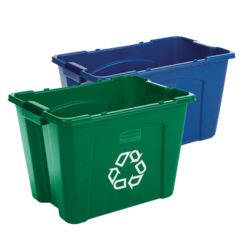 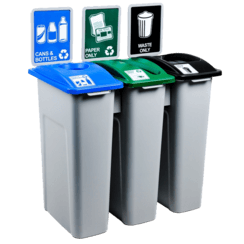 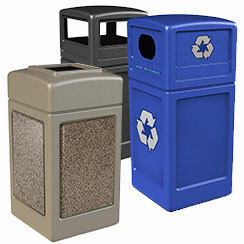 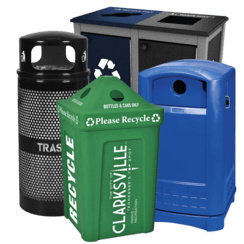 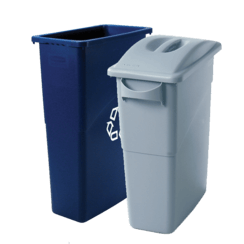 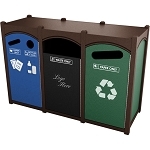 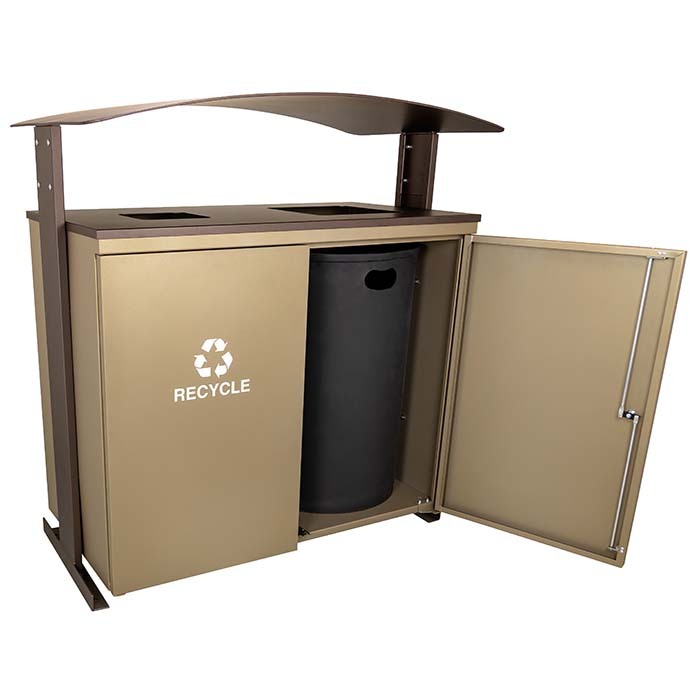 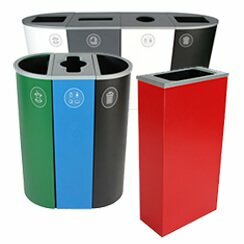 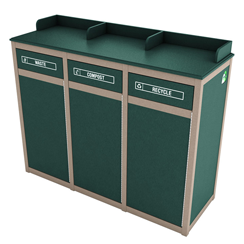 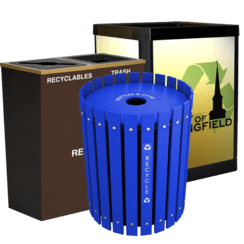 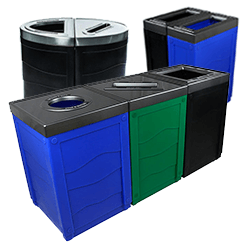 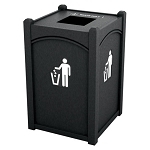 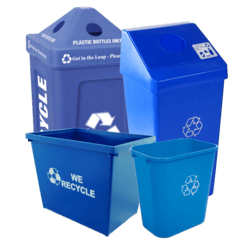 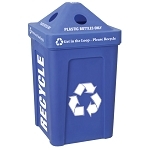 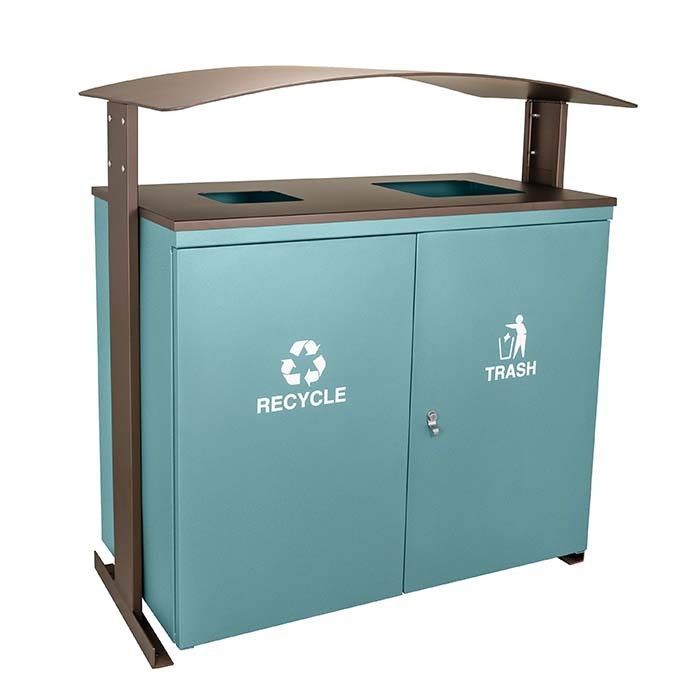 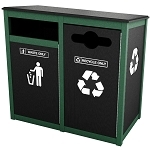 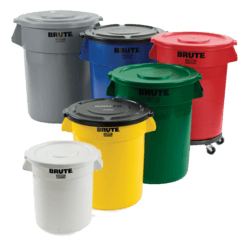 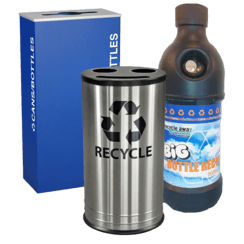 Additional silk screened aluminum plates denoting TRASH and RECYCLABLES are included for lid application. 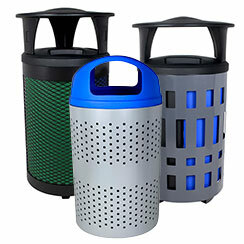 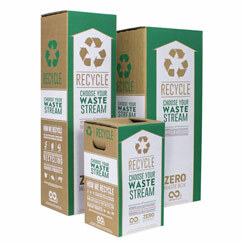 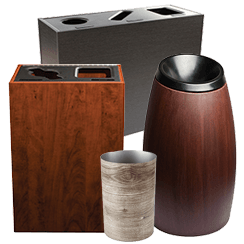 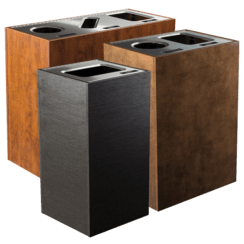 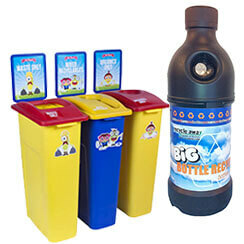 Contains over 30% recycled material and 100% post-consumer recyclable.